It's great to be able to meet together on a Sunday to worship God, but there are plenty of other activities and groups during the week. That's what this section of our website is devoted to. To visit other pages within this section of our website please use the links in the expanded part of the menu on the left. 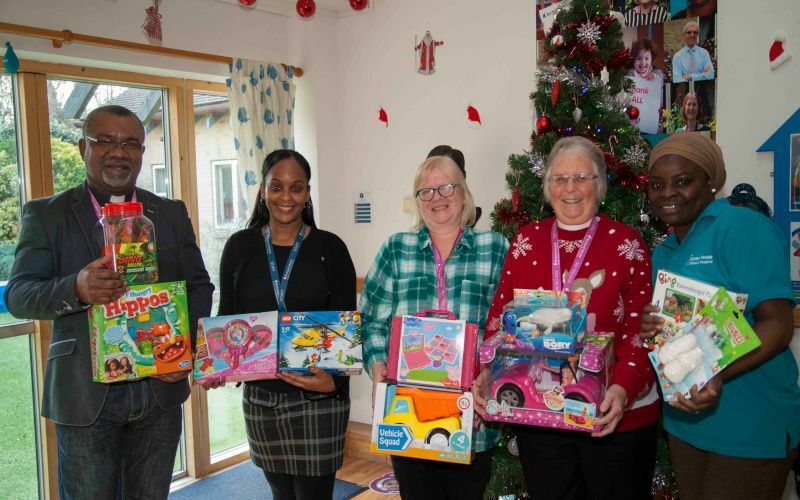 December 2018: Chika, Pauline, & Christine visited Richard House Children's Hospice to take presents kindly donated by the church family at the Toy Service, for which they send their thanks for your kindness. Also in the picture are staff members Sheryl and Mulikat.